Zingy coconut and lime macaroons on a platter. There are many coconut macaroon recipes on the Internet, and here I am, adding one more to the fray. These coconut and lime macaroons came about because I wanted to make something that feels light in both texture and taste, something that's not too sweet. 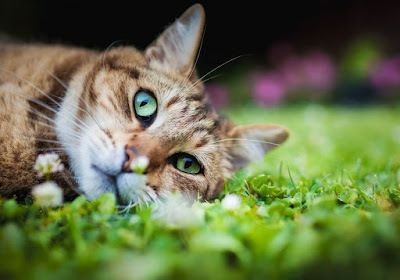 Something that may, perhaps, surprise you with its charm. 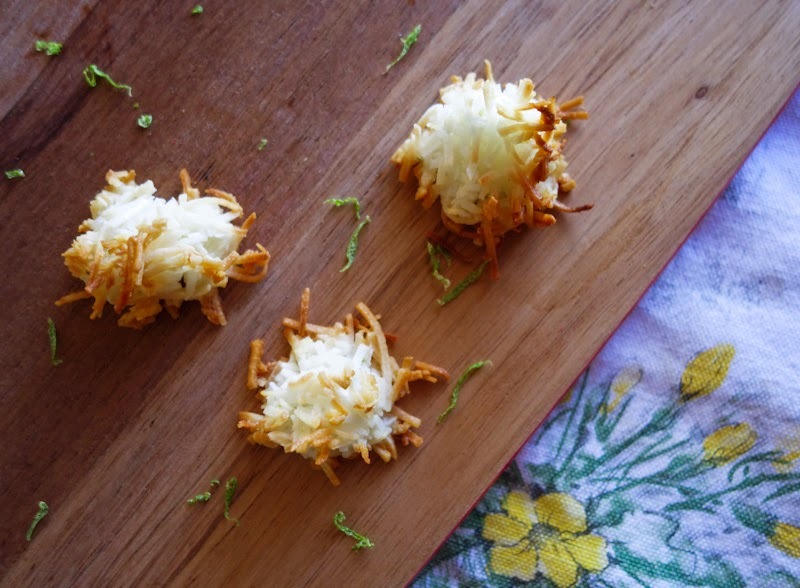 Lime juice and lime zest in coconut macaroons makes them nice and tangy! 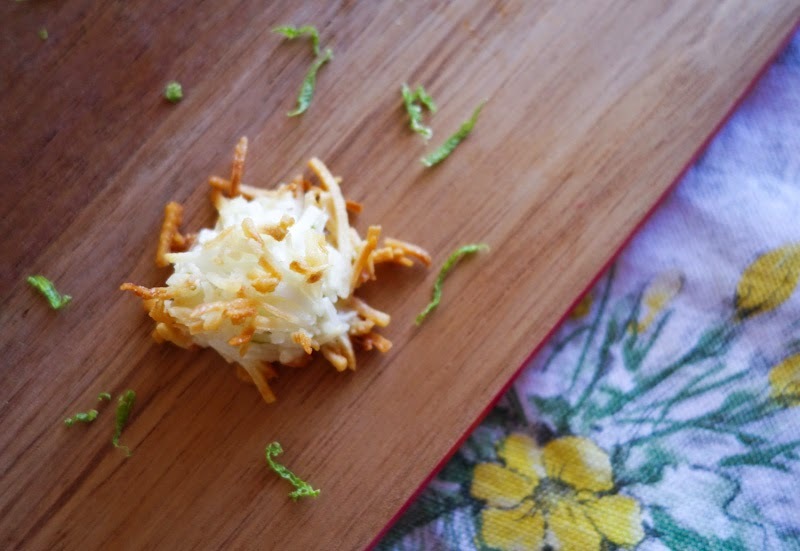 I use unsweetened shredded coconut along with a modest amount of sugar, and incorporate lime juice and lime zest to give the coconut macaroons some extra zing. I also bind the shredded coconut with a fairly minimal amount of egg white. This did make them slightly challenging to assemble, and I was wondering if the mixture would come together at all, but the resulting bite-sized lime and coconut macaroons stayed intact in their construction, though you do need to handle them with care, as they might be a little fragile. They are also crisp and tangy, and pretty delicious, too! 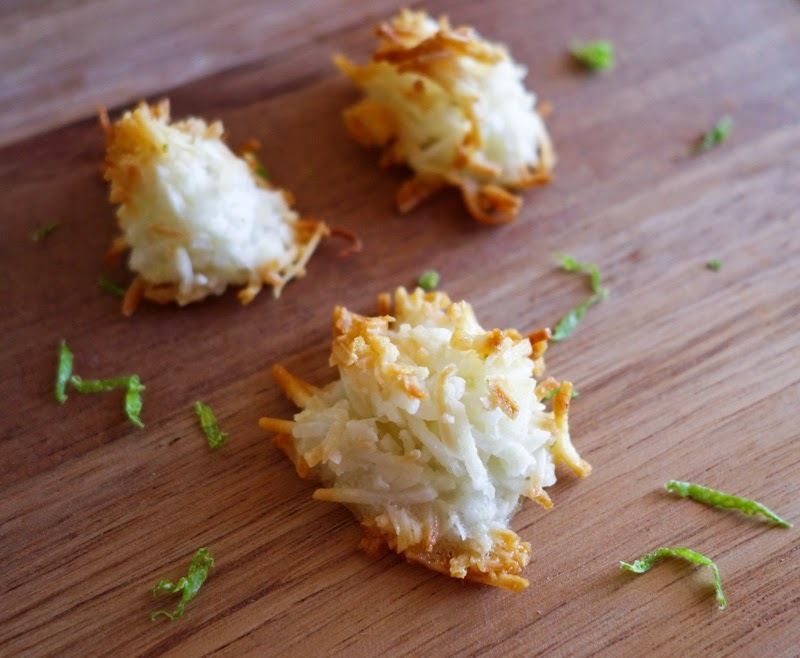 Shape your lime and coconut macaroons into cute little domes, and bake them till they're golden brown and crunchy. Whisk egg white, sugar, lime juice, lime zest and salt until the sugar completely dissolves and the mixture is foamy. Stir in shredded coconut and thoroughly mix everything together. Set the oven to 140°C / 285°F fan-forced or 160°C / 320°F conventional. Line baking sheets with baking paper. Stir the mixture thoroughly again, then drop heaped teaspoonfuls of the coconut mixture onto the baking sheet and shape each dollop into little domes. Bake the macaroons for 15 - 20 minutes or until they develop a crisp, golden appearance and the bottoms are dry. 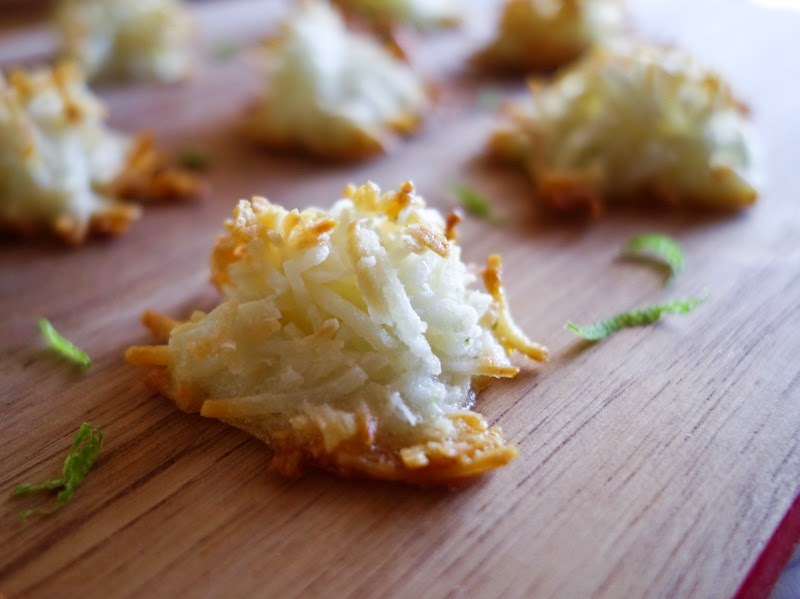 Allow your coconut and lime macaroons to cool completely before storing them. They should keep in an airtight container at room temperature or in the refrigerator for at least a few days. These coconut and lime macaroons taste so light, they'll be all gone before you know it! I love this kind of macaroon - these are the ones I grew up with! Yum, such delicious little morsels of flavour! What a great idea to add lime, they would be fresh tasting and I love anything a little tart. This looks great! Coconut and lime are a match made in heaven! I'll have to try these soon!